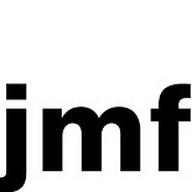 Jetztmusikfestival 2015 will happen from March 20 - 29 in Mannheim! We are looking forward to concerts and performances by Mouse On Mars, Clark, Dean Blunt, Prosumer and many more! We will broadcast every day of the festival live from our jmf-studio with interviews, artist features and all the infos you need on the festival! Check www.jetztmusikfestival.de for complete lineup and tickets!